Much of the civilized world has been domesticated. Some might even argue that society has been feminized. This is change in society is true in the home as well. Decorating a home is largely in the hands of the woman of the house. What is left for the man to do? Where can a man show his own unique style, besides how he keeps his car looking? A man cave, thats where. First of all, the very name of the room drips with manliness. There is something primal to the idea of a cave, as if it is a place of rest for the man of the house. Perhaps more importantly, a man cave is where a man can fully express himself. As mentioned earlier, the decor and “feel” of a house is generally decided on by a woman. Generally speaking, most women have very different tastes than men do on decorations and hobbies. However, in a man cave, the modern man no longer has to tame or curb his manly pursuits and interests. Here, surrounded by items that define his own brand of manliness, a man can rest at ease. Man caves can be as varied as individual men are themselves. There is no need for a set rule on what needs to be in a man cave. However, there are some helpful guidelines and tips to help in designing your very own man cave. One is the design of the room itself. In general, most man caves tend to be a darker color. Nothing says manliness much more than dark wood, either in a desk or for the walls, or even the floor. Remember, this room should be and “feel” different than the rest of the house. That is the whole point of having a man cave in the first place. A darker color pallet with a lot of wood incorporated usually does the trick in giving a room a more masculine “feel”. This is just a general rule, however. If you are more a science fiction nerd/geek, go with that theme. Just remember to be consistent with what theme you have chosen. The second point to consider are the actual items that you will put in the man cave. You want what is in the man cave to represent you. Again, that is the point of the room, to celebrate your brand of masculinity. So put items that interest you in there and that would not necessarily work in the rest of the house. A man cave would be the perfect place to put up posters of your favorite sports teams, mount your trophy deer or place your collection of tobacco pipes. You could go even bigger if you wanted, placing a pool table or even putting in a home theater. The choice is up to your tastes and finances. The possibilities for a man cave are endless. Just let what you choose to put in your man cave represent you. This is key. 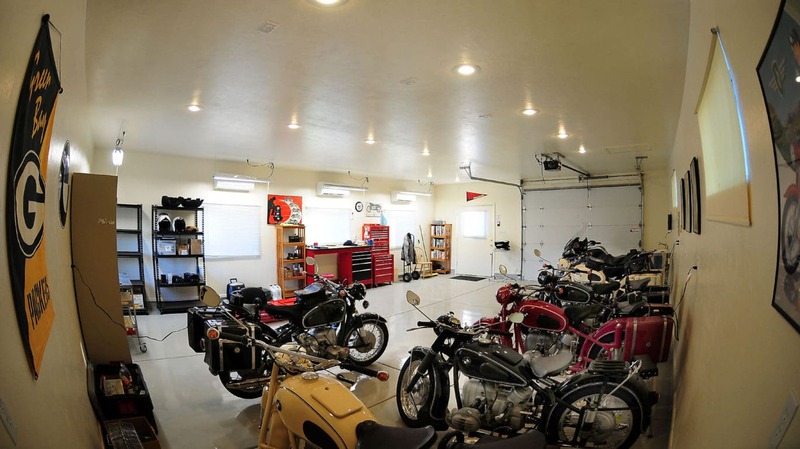 Every man’s interests and passions are different, and man caves should reflect that. The uniqueness of your man cave depends on you. However, as mentioned before, it’s best to keep to a general theme in your cave. If you do not keep to one style theme, you risk ending up with more of a storage room rather than a proper man cave. So let your cave show your varied interests, but do not be indecisive on picking a main theme that will tie the room together. In the end, just have fun with it! It’s your cave to create how you will. Enjoy it.